Copic markers are not the cheapest art product in the world, but you definitely get what you pay for. When I saw a friend of mine spending that much on a set of markers, I was in disbelief, until I tried them myself. They are the only type of marker I’ve encountered that allows me to shade and blend colors. Usually, this only works with paint. Copic markers are even better than paint, in a sense, because they are less messy and more portable. They can withstand extreme temperatures (which is great for frequent travelers). 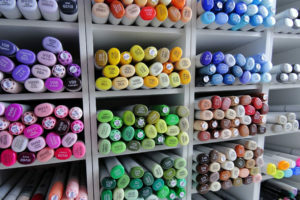 They are one of the best art supplies you can get. If you’re ready to make this kind of investment, there are some particular qualities you want to make sure you’re getting in your set of markers.